A return pouch having a personalized deck of cards (i.e. 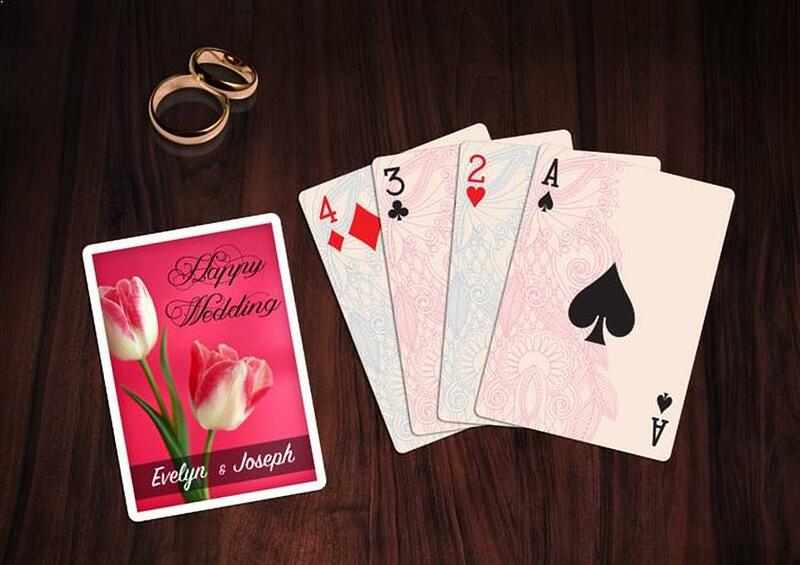 personalized playing cards) for each guest or having pictures of the event along with the date and venue would leave everlasting and nostalgic memories whenever the deck is pulled out year’s later. Playing cards with photos of the occasion could be ordered as a gift to the attendees.